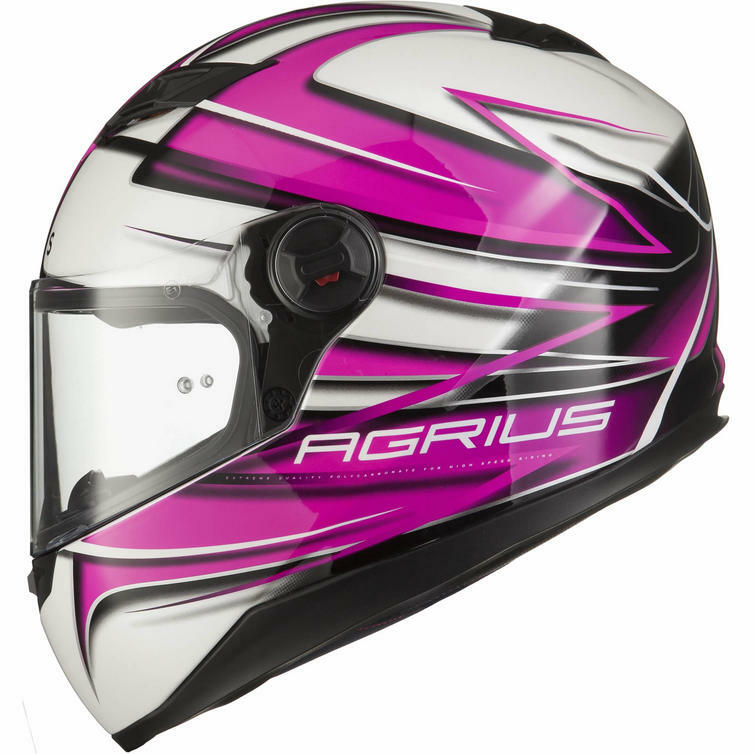 Agrius develop their ranges with one thing on their mind, that biking should be accessible to anyone. 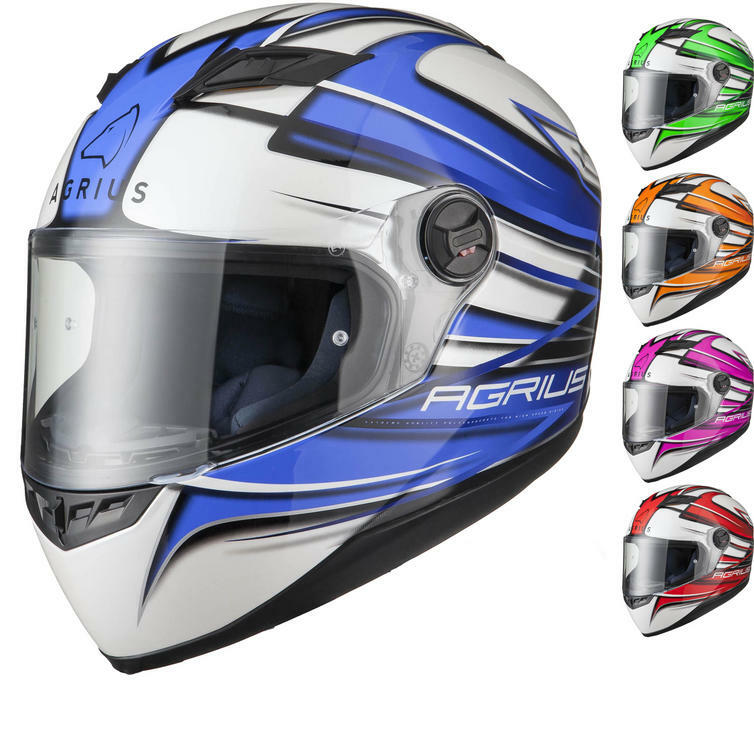 This means that the range incorporates high quality Helmets, Gloves, Boots and Clothing at an affordable price, meaning you can get fully kitted out, in gear that will last, for a lot less than you think! 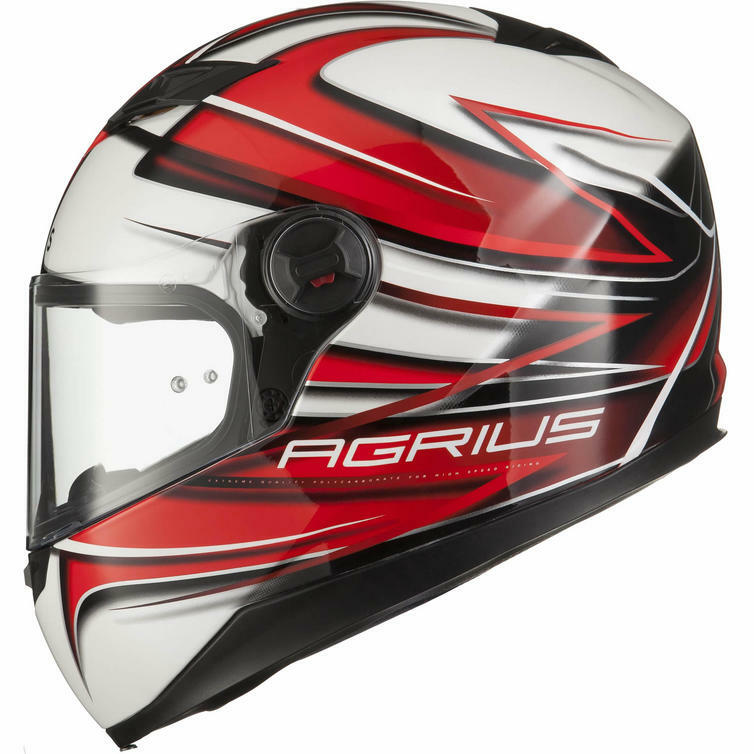 The Agrius Rage Charger Motorcycle Helmet is part of the latest Agrius collection. The Agrius Rage Charger Helmet is the latest graphic to be added to the Rage range of helmets. A mixture of a pearl white finish and striking colourful graphics make this helmet unique, and when you add the fully removable liner, Pinlock ready visor and 5 point ventilation system you have everything you need at a fantastic low price! 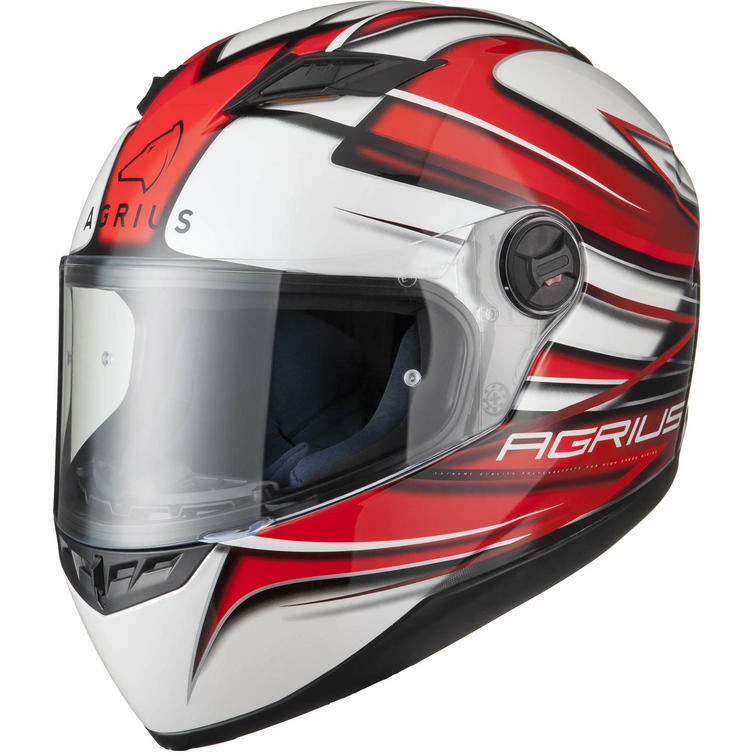 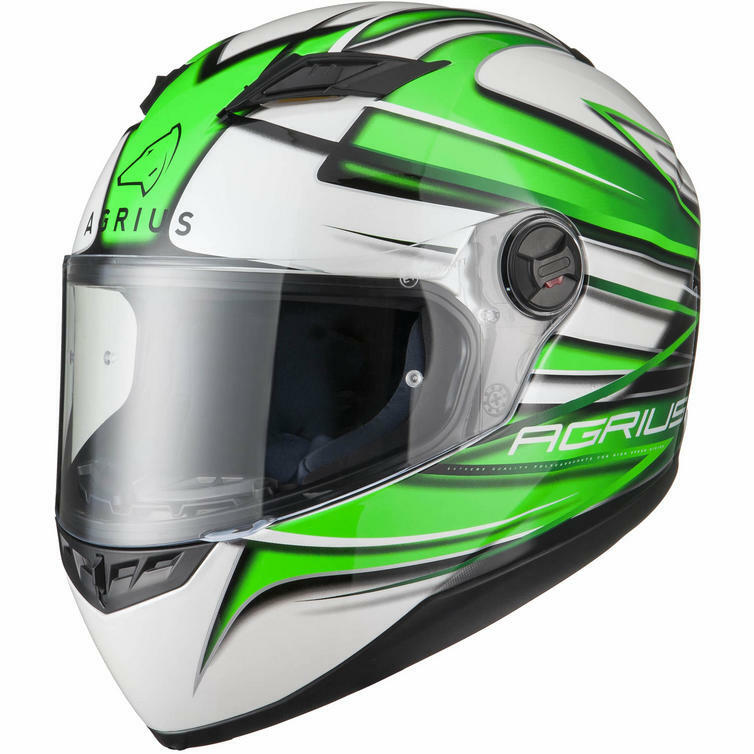 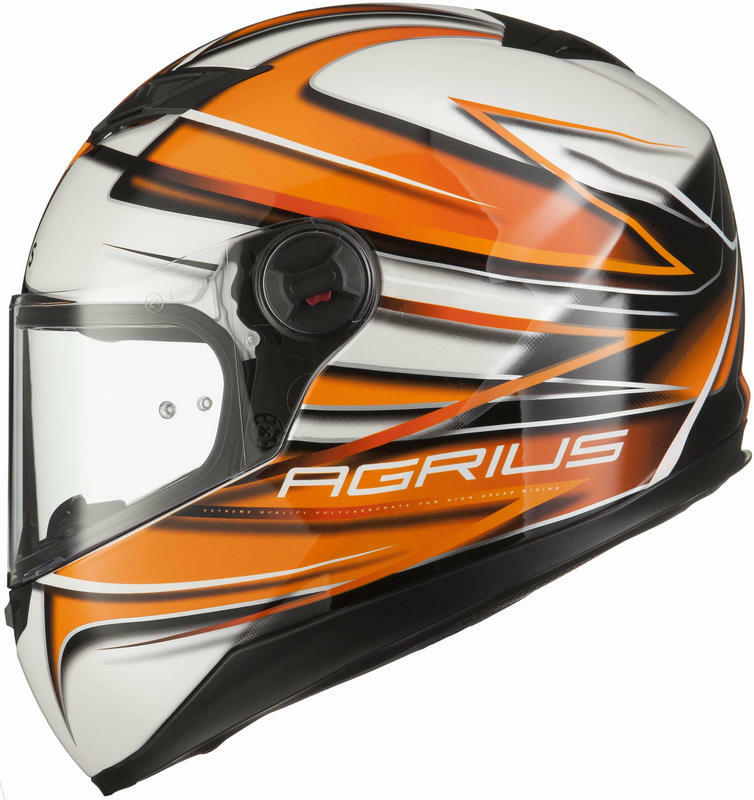 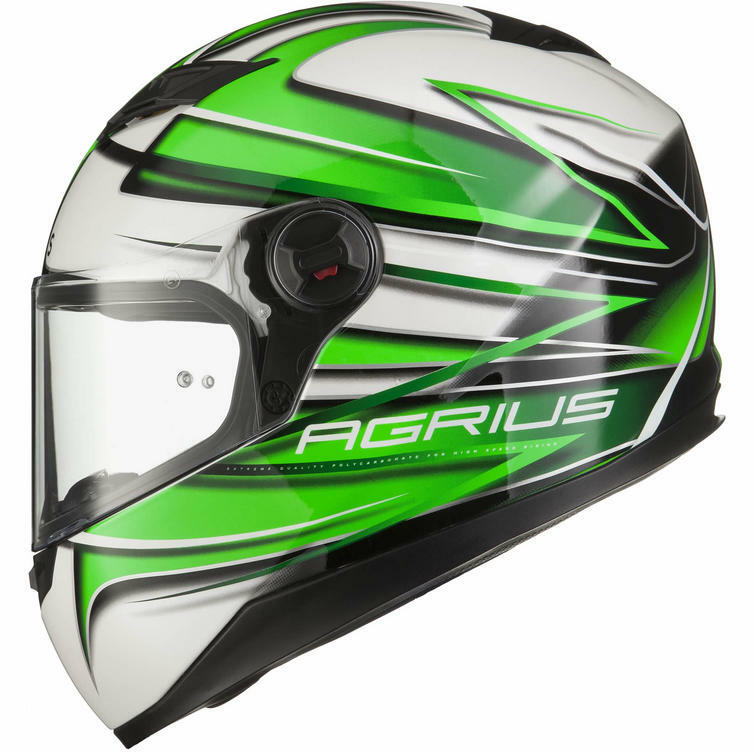 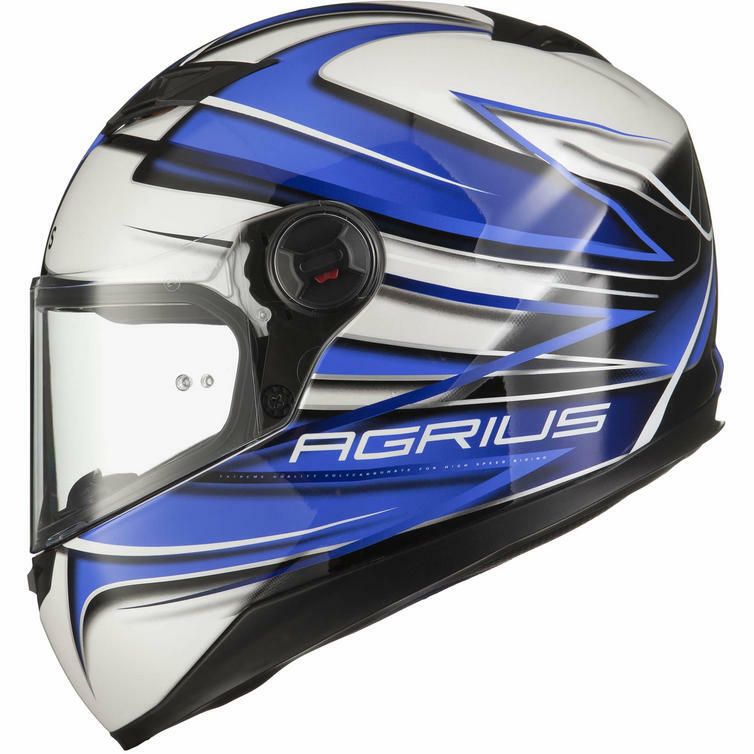 View all Agrius Motorcycle Helmets. View all Full Face Motorcycle Helmets.